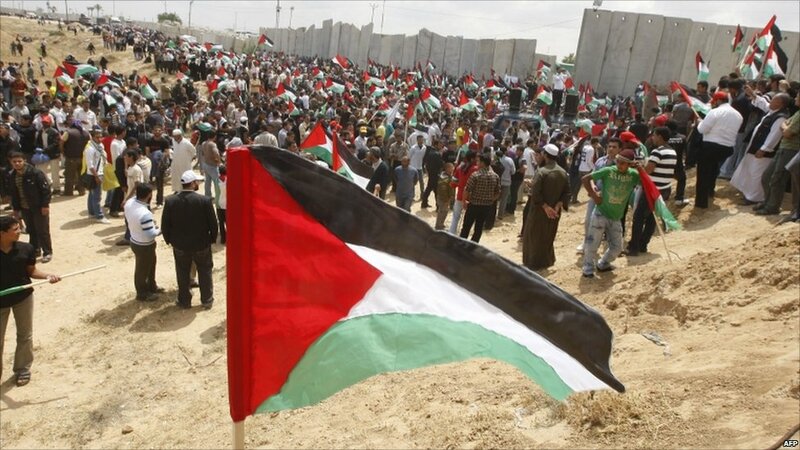 Palestinians have been rallying to mark the 63rd anniversary of the day they call the Nakba or Catastrophe - the creation of the state of Israel in 1948. 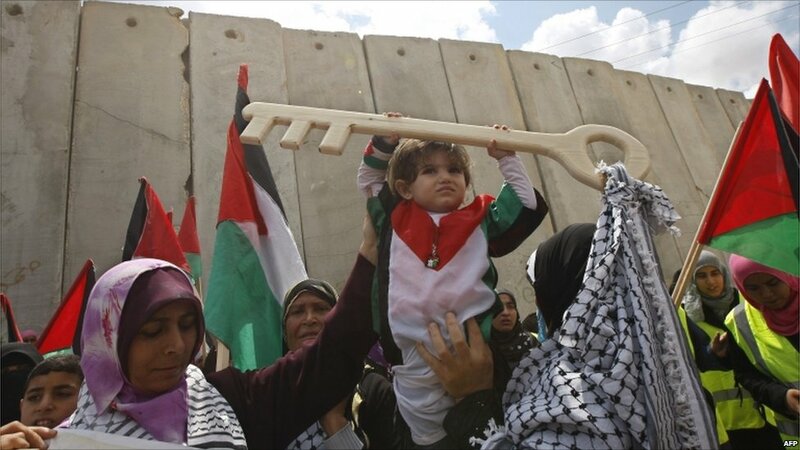 Some held symbolic keys, marking the original house keys kept by many Palestinians, who hoped one day to return to their old homes. 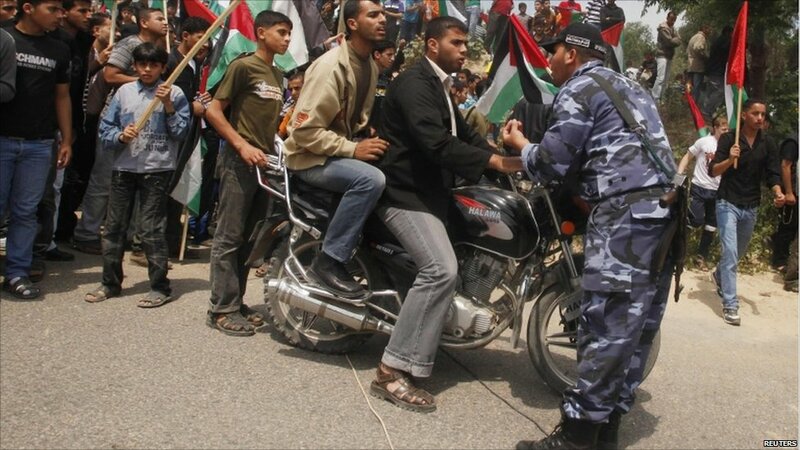 In Gaza, Hamas officials tried to stop the protesters reaching the border crossing point. 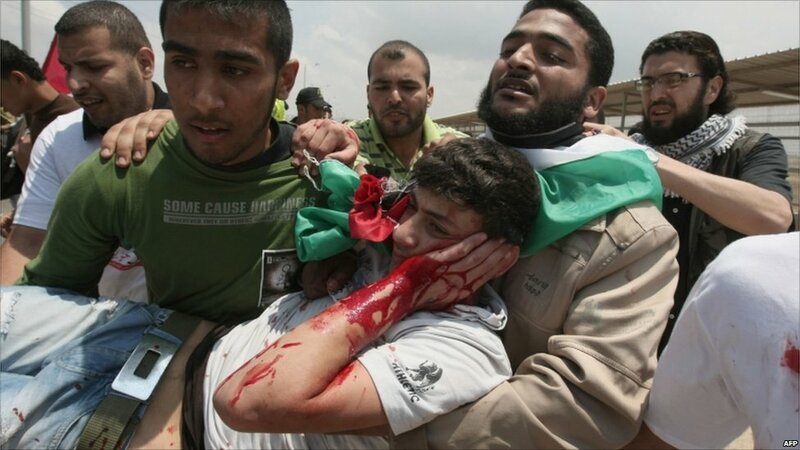 After the protesters reached the crossing, Israeli troops opened fire, wounding dozens of people. 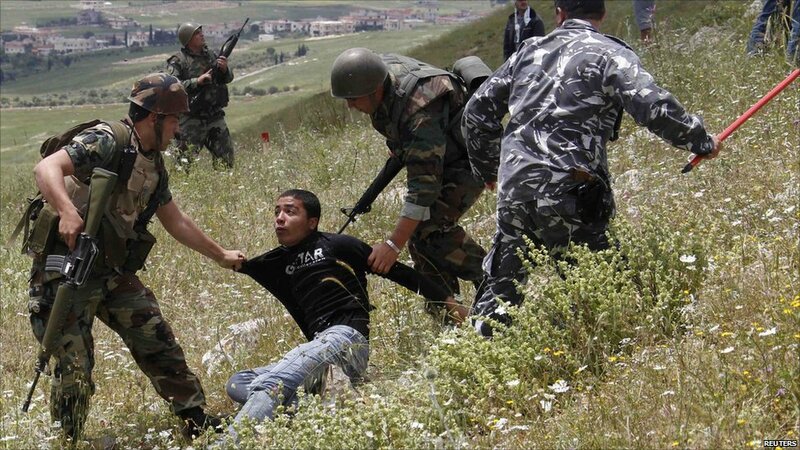 Israel's army said it faced a "serious" incursion at Majdal Shams in the occupied Golan Heights, where a number of people were reported killed and injured. 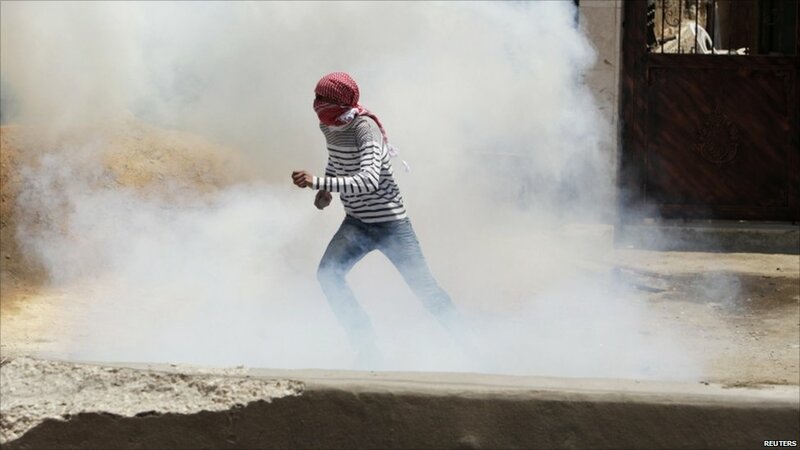 Palestinian protesters travelled by bus to Lebanon's border with Israel, where further clashes occurred, leaving several more protesters dead and injured. 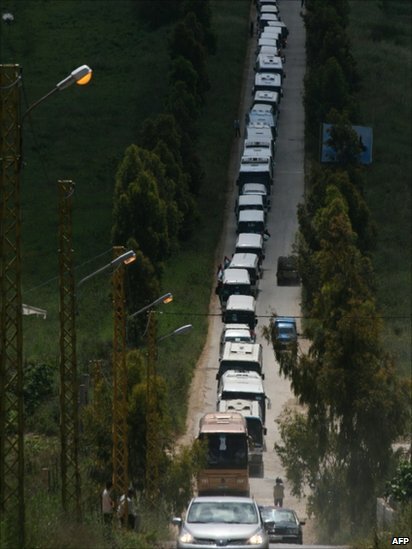 Lebanese troops had tried to break up the Palestinian protests at Maroun al-Rass, near the border. 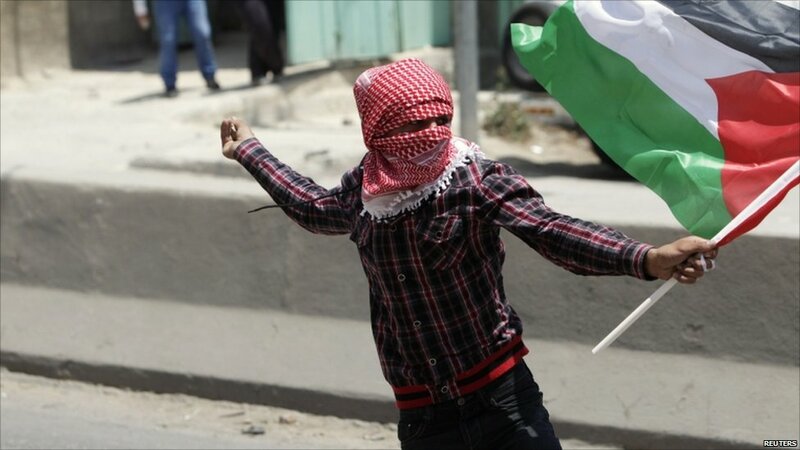 Near the West Bank city of Ramallah, Palestinians threw stones at the Qalandiya checkpoint. 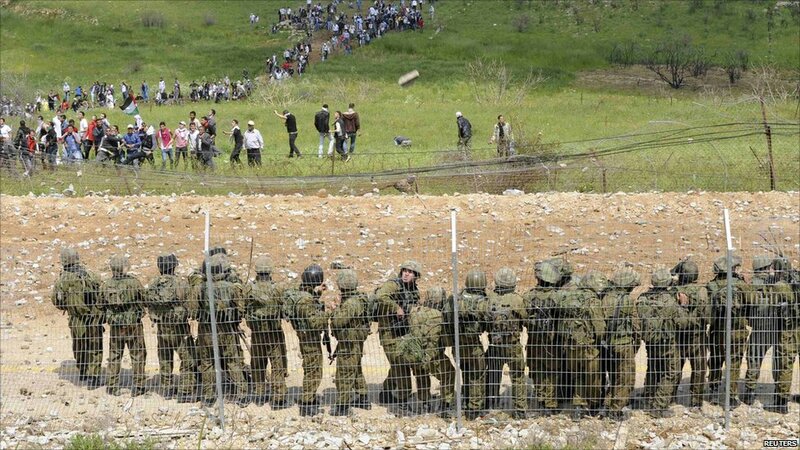 Israeli forces replied with tear gas and dozens of protesters were hurt. In occupied East Jerusalem, protests were also held - undercover Israeli policemen mingled with the demonstrators, arresting some. 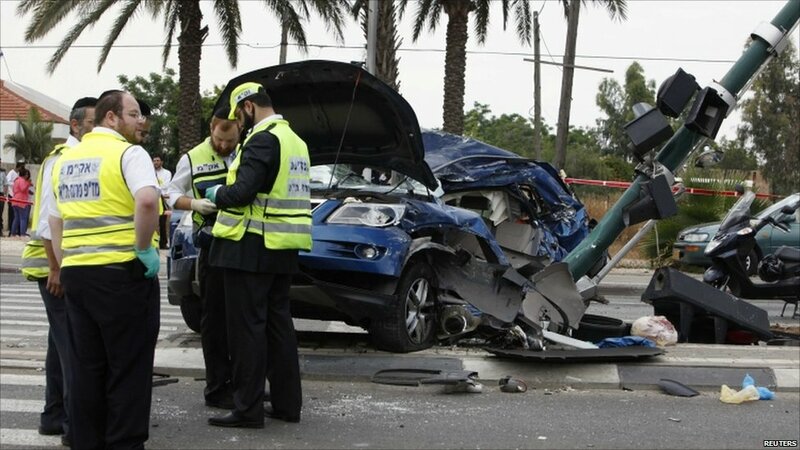 In Tel Aviv, Israeli police are investigating whether an Arab-Israeli lorry driver deliberately ploughed into pedestrians, killing one Israeli man.